Rare piece of mountain property. Easy access from Forest Service road through huge Ponderosa Pines. Many Ponderosa pines on property. Great Views of mountains and of the village of Canon Plaza. 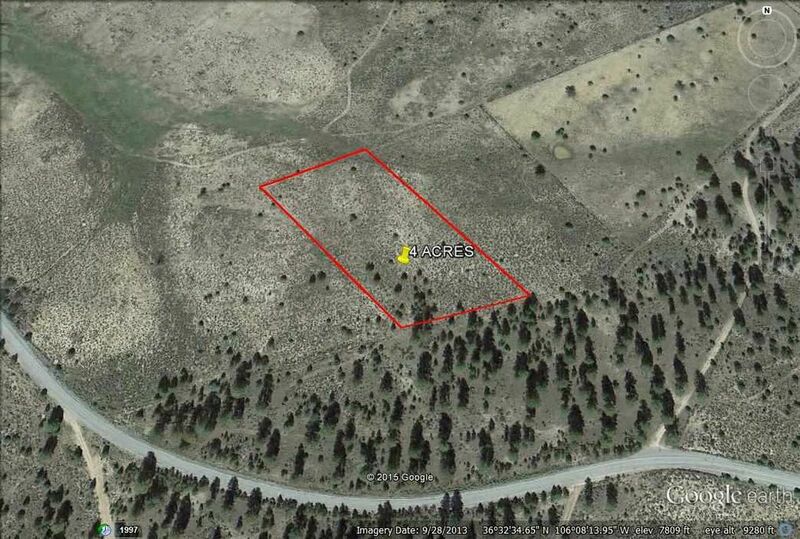 The Forest Service lands are vast and there is a stream not far from the property. Hiking, mountain biking, bird watching, plenty of wildlife - all nature has to offer. The property can be used for horses, a summer get away, or build a home. If you need electricity - it is not far away. Make this your get away from it all. SELLERS MOTIVATED - MAKE OFFER. Directions: North of Ojo Caliente, From HWY 285, turn left on State Road 111, travel through Vallecitos, exactly five miles north to Mile Marker 18. Property is north about 100 yards. Take Forest service road immediately before mile marker.